This is a problem in many countries. It only costs pennies to add security features that will prevent fake ID cards. The greatest cost is pretending that the problem does not exist. Bethany Ziegler, daughter of Karl & Denine here at the Laminex family, has been awarded a scholarship for the 2008/2009 school year by the Promotional Products Education Foundation. Beth was eligible to apply as the daughter of a professional in the promotional products industry. Bethany will be a senior at Atlanta Christian College in the fall. 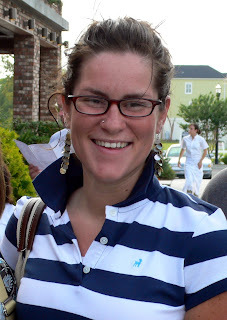 She is currently serving a summer internship in Nairobi, Kenya. Our Credential Wallets are a pretty decent way to promote events or event sponsors. They are on page 15 in our catalog. 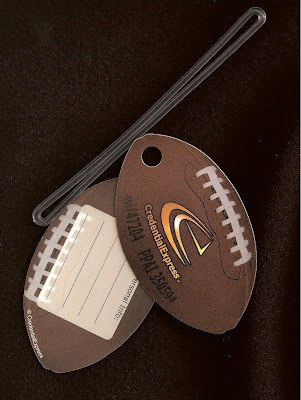 Our custom shape luggage tag program is generating quite a bit of interest these days. What shape can we do for you? 1. 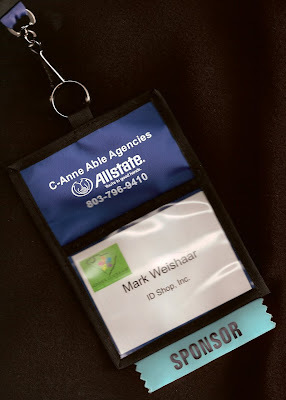 A photo ID or event credential can be attached to the plastic hook. 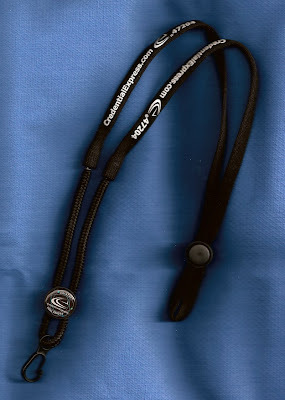 Your logo can be featured on the slider and the upper 3/8" lanyard fabric for plenty of exposure. The button lock at the back makes for easy length adjustment. 2. The lower part with the plastic hook, slider, and round cord can be easy removed. The remaining part is an easy to use retainer for eye glasses or sun glasses. The adjustable button lock allows the user to snug the retainer when needed. This is a wonderful product for special events and conferences when you want the user to remember you long after the event dates. Why not give them something they will use later? Samples are ready for shipment now and pricing is available here. 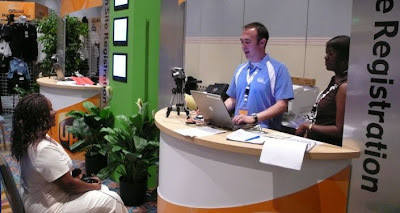 Our CredentialExpress on-site badging team hit another home run this week in Orlando. Minor and major league event managers are finding they worry a lot less when they hire folks like us to manage the data and on-site photo ID credentials. Yes, unbelievable references are available.